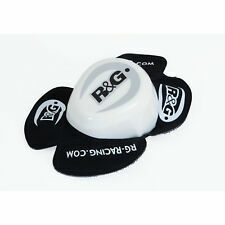 THE WORLD FAMOUS R&G KNEE SLIDERS. 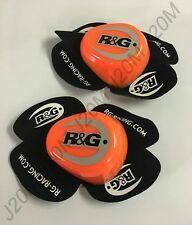 R&G Racing Motorcycle Orange / Black Aero Knee Sliders. Engine Case Covers / Tail Tidies / Crash Protectors / Bar Ends / Bike Covers and More! The UK's Biggest Range of Crash Protection. Colour: Orange / Black. 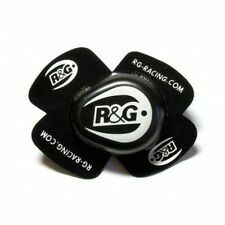 R&G Aero Knee Sliders - Black, Orange, White, Yellow. 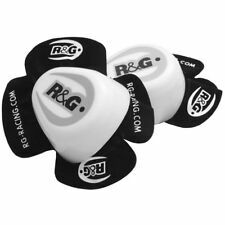 R&G Aero Knee Sliders - Black, Orange, White, Yellow. This does not exclude your statutory rights. What if I have bought the wrong size, colour or product?. What if I do not like the product I have received?. 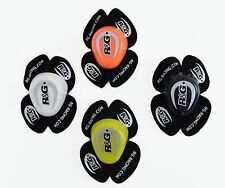 R&G Aero Knee Sliders - Black, Orange, White, Yellow. What if I do not like the product I have received?. What if there is a fault with the product I received?. What if I have bought the wrong size, colour or product?. Reference: 440889 - AKS0001WH. MPN AKS0001WH. 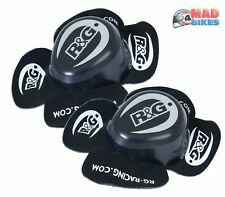 Pair of Sliders for lap bike rider (black or white) R & G Racing. SLIDERS R & G RACING FOR KNEE, WHITE. Reference: 440888 - AKS0001BK. MPN AKS0001BK. Pair of Sliders for lap bike rider (black or white) R & G Racing. SLIDERS R & G RACING FOR KNEE, BLACK. Reference: 4408890 - AKS0001YE. MPN AKS0001YE. 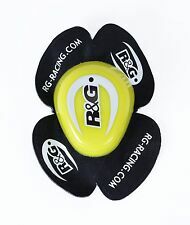 R & G Aero yellow knee slider. Reference: 4408880 - AKS0001OR. MPN AKS0001OR. Orange R & Aere RACING knee sliders.